Hi folks! We have a few more activities happening before everyone starts their school year. 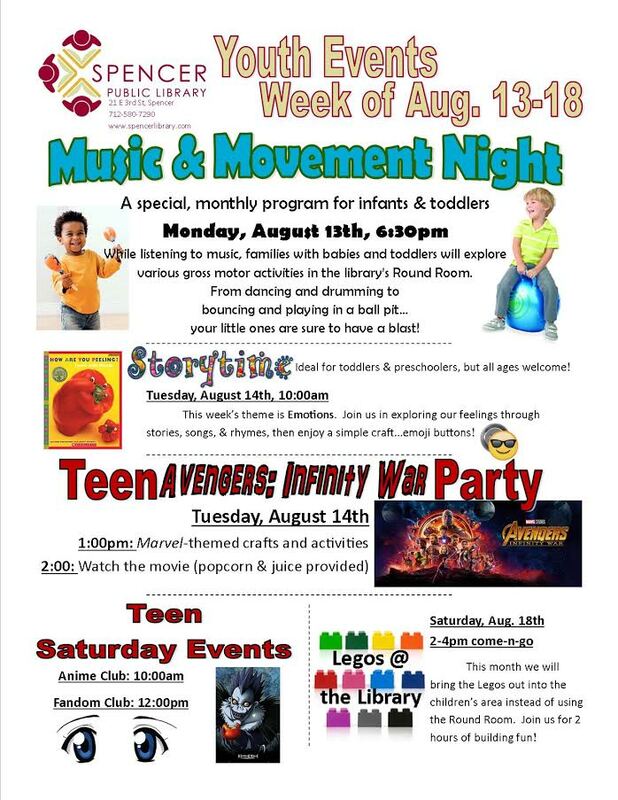 There's Music & Movement night for infants & toddlers, storytime and legos for kids, and a teen celebration for the release of the latest Avengers movie. Check out the attached newsletter to find out more!